Today, a delegation of producers from the Jura are starting a week-long trip in China, starting at the Vin China exhibition in Beijing and continuing on to Ningbo near Shanghai, a free trade zone where they can present tastings of the wines they are taking with them. 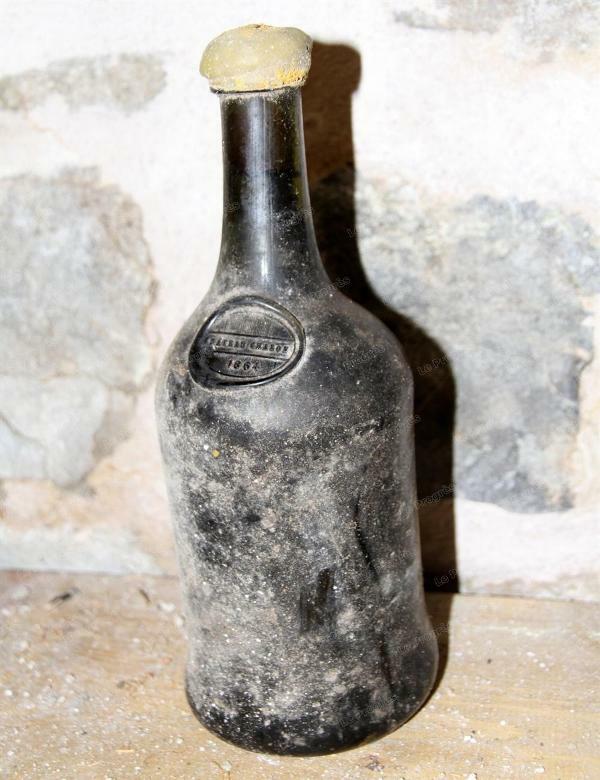 Meantime, equally surreal to some, a bottle of 1864 Château-Chalon has been announced as the star bottle for next year’s auction of old bottles at the Percée du Vin Jaune. The trip for the 23 intrepid producers who have gone to China has been financially supported by various regional bodies, who also support the campaign to promote the wines to the North American markets through trade tastings in various US and Canadian cities, and press visits to visit the Jura region. The work is paying off, and from a low base, exports are starting to increase. There is definitely a niche for Jura wines to fit into most markets. In China, they are expecting their Vin Jaune, Vin de Paille and Macvin to go down well, along with white wines; reds are less popular. With Jura reds growing in demand both in the USA and at home in France, it’s probably a good thing that the Chinese prefer whites. As I concluded in my article on Jura exports in Meiningers Wine Business International, although the best producers have wines on allocation, there is plenty of wine available from others, and they will do well, providing they keep up their quality level. The Percée du Vin Jaune festival that takes place over the first week of February, is held in a different town or village each year. With 30-50,000 people expected over the weekend (numbers depend largely on weather) the logistics are demanding for every host town, but they always seem to manage to put together an amazing occasion. Over the weekend of 2nd-3rd February 2013 the festival will be in Voiteur, the town at the foot of the Château-Chalon vineyards (with the village of Château-Chalon up above). There are several good chambres d’hôtes (B&Bs) in the area, but they will fill up fast, so if you plan to attend, book soon and remember to pack warm clothes. The festival is held mainly outside, which was hard this February in Ruffey-sur-Seille near Arlay, when the temperature was down to a record -17°C. On both days of the festival, entertainers cruise the streets and wines are available to taste from about 75 producers who set up stall in cellars and rooms around the village. On Sunday there is a procession (video from last year above). Apart from tasting and keeping moving, one trick to keep warm on the Saturday afternoon is to duck into the designated building for the auction of old bottles. According to the press release, the 1864 on offer at the auction next year is from the collection a private individual and is a 65cl bottle in a clavelin-type bottle typical of La Vieille Loye glass-making factory (as discussed in my article on the 1774 Arbois in World of Fine Wine). The vintage date of 1864 appears actually embossed onto the bottle’s crest on the glass. The owner possessed two bottles, and back in the 1980s he asked local producer, Marius Perron of Voiteur to taste the two bottles and fill one with the other, re-cork and re-seal it. As so often, the only person that has written about tasting a Château-Chalon 1864 is Paris-based fine wine collector François Audouze, who tasted that from Clos des Logaudes (unconfirmed, but this may be the same producer) with an American collector friend back in April 2006 over a special wine dinner. On various forums he admits that everyone at the dinner thought it was wonderful, but as the oldest Château-Chalon in his collection his expectations were so high that he marked it down on the night, and later felt that it was better than he noted. I’m somewhat confused by his notes, but it is known that 1864 was a great vintage, so it may well be that this bottle is an amazing 149-year-old wine, all set for a suitable celebration on its 150th birthday.